For most first-time home buyers, the down payment is the biggest barrier between turning a home buying dream into reality. - Banks are going to require it – qualifying for a mortgage will be much easier if you can meet the 20% threshold. - The more you put down on a house, the smaller your monthly payment will be. - You don't want to overbuy – stretching your borrowing limits to buy more is never a good idea. Instead, you should buy the home that's a good fit for your current financial situation and lifestyle. If you are unable to put 20 percent down for your mortgage payment, you will be required to pay Private Mortgage Insurance or PMI. This insurance protects your lender from borrower defaults. If you are thinking about buying a home and your mortgage will require you to carry PMI, keep in mind that you’ll be increasing your monthly cost of owning a home. The good news is you’ll only need to carry PMI until the value of your home has appreciated or when your loan has been paid down sufficiently. In today’s market place, the benefits of being a homeowner often outweigh the extra monthly cost of PMI. Be sure to sit down with a mortgage professional and get pre-qualified before you decide to begin your house search. This is the first step towards home ownership as it highlights any problems you may have qualifying for a loan and gives you time to correct those problems before you fall in love with a home and find out you cannot get a loan. A pre-approval letter is also a necessity when making an offer to purchase, so save yourself a headache and start your home buying journey by talking to your lender first. 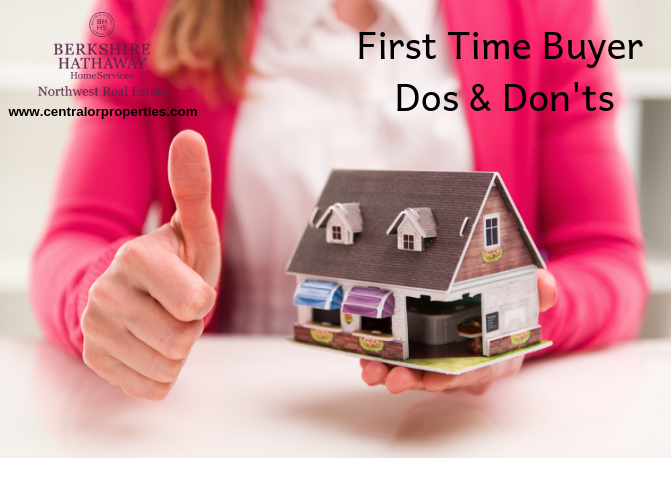 Tip: A good Realtor will ask you for a copy of your pre-approval letter so bring a copy with you when you meet. - Don’t change jobs unless it’s absolutely necessary. A consistent work history is crucial to lenders. Tip: at least two years at the same employer makes it easier to qualify for a loan. - Don’t ignore lender requirements. Be absolutely clear on what the lender requires from you throughout the process and be sure to follow up on these items. Tip: Banks are not the only source of loans, try your local Credit Union or a Mortgage Broker. - Don’t go it alone. Give me a call today so I can help you navigate the process and help you find the home of your dreams.